Point: While many people wring their hands over seemingly insurmountable problems, entrepreneurs roll up their sleeves and work on solutions. 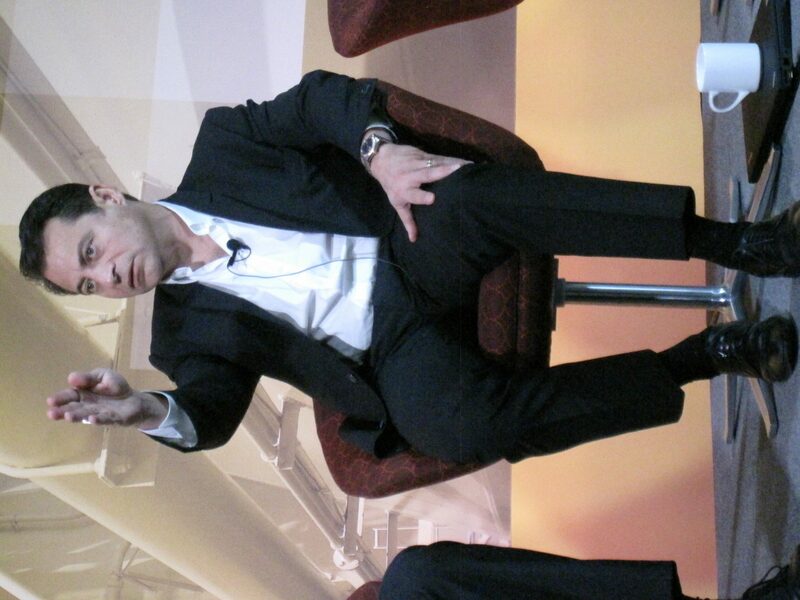 Story: Peter Diamandis, founder of the X PRIZE Foundation and Zero Gravity Corp., is particularly optimistic. Seeing what small teams can accomplish with today’s technologies, he sees limitless opportunities. “A Maasai tribesman in Kenya today has better mobile communications than President Reagan had 25 years ago. If they’re on a smartphone, they have access to more information than President Clinton did 15 years ago,” he says. These achievements don’t get as much attention as bad news, because our brains are wired to hone in on anything that could threaten our survival. But above the din of disasters and terrorist attacks are the facts that more people have been lifted out of poverty in the last 50 years than the previous 500. The cost of food is 1/13th what it was in 1870. Even those living below the poverty line in many countries today have access to a telephone, toilet, television, air-conditioning and a car — things that Andrew Carnegie or John D. Rockefeller couldn’t have dreamed of a century ago. Moore’s law — the doubling of computing power for the same price every 12-24 months — is now showing up in other areas that are linked to computing power, including sensors, 3D printing and biotechnology. For example, 3D printers that cost $500,000 can now be bought for $1300, making them accessible to small companies and entrepreneurs. Lower costs like that make it possible to offer much-needed but low-cost products to the “bottom billion” people in the lower rungs of the economic pyramid. For example, an estimated 1.1 billion people lack access to clean drinking water. But four billion of them are spending 30 cents a day for water, which makes clean water a $400 billion a year market, as inventor Dean Kamen points out. Kamen is in trials with a new water purifier that can turn any water (even polluted water, seawater or latrine water) into pure drinking water for less than .02 cents a liter). Such innovations by entrepreneurs can solve the world’s biggest challenges. “That’s my source of optimism. That and a realization I made early on that if there’s a problem, I’m going to solve it. Once you see the world that way, it’s a different place,” Diamandis said. Look at negative events as potential opportunities to create new products or services to prevent or mitigate the negative. Look past the sensationalized “bad news” to see the less-publicized march of positive trends in human development that create or expand markets for products and services. Consider how to leverage the rising spread of modern infrastructure (communications, utilities, and logistics) to access more suppliers, partners, and customers. Point: Exponential trends in technology make the future more — not less — predictable. 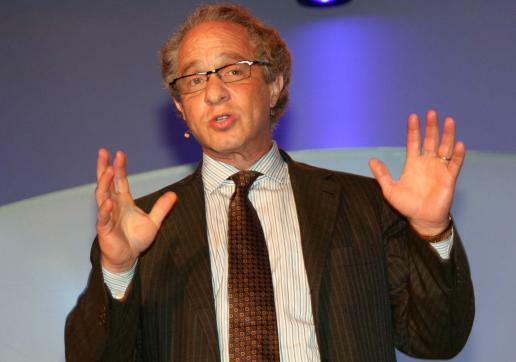 Story: At the World Innovation Forum in June, Ray Kurzweil, inventor of the first CCD scanner and author of The Singularity is Near, talked about the ease of predicting the future by spotting and extrapolating exponential trends. Although Gordon Moore uttered his famous Law around 1970, Kurzweil found that the exponential trends in computation and data transmission predate Moore’s Law by many decades. Moore spoke of the rate of evolution of semiconductor chips, but the trend started in earlier generations of computing and communications technologies including mechanical relays, vacuum tubes, and the first transistorized devices. Even wars and depressions failed to halt the exponential progress in performance. Trends in miniaturization and mass production meant information technologies improved at a steady pace across the decades. 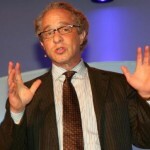 Kurzweil noted that many people don’t understand the basic math of exponential trends. When the Human Genome project had sequenced only 1% of the genome after seven years of costly labor, many cited the lack of progress as evidence that the project was doomed. Yet the sequencing project was riding an exponential trend in the performance DNA sequencing methods. Instead of taking another seven years to sequence a second 1%, they reached it after only one year. Then they reached 4% in about another year, then 8%, 16%, and so on. It took about as much time to sequence the last 99% as it took to sequence the first 1%. That’s the nature of exponential trends — they seem to start glacially slowly but finish lightening fast. This trend continues unabated. Along with exponential performance improvement comes an exponential drop in cost and an exponential rise in use. What once took a billion dollars per genome is now costing a few thousand dollars per genome. Soon, scientists expect to have one million human genomes sequenced. If genome sequencing is cheap enough, it can be used on every person, every cancer cell, every agricultural product, every bacteria, every virus, and even every pet. As performance hits key thresholds or cost drops below key thresholds, new applications can arise at predictable times. What makes the future predictable with exponential trends is that we can estimate the crossing points when something becomes good enough, cheap enough, or valued enough for widespread use and new applications. Search engines arose from both the growing demand for finding websites in the exponentially growing World Wide Web and the declining costs of computer servers needed to offer a “free” search engine. Likewise, social networking arose as connectivity costs dropped, connectivity increased, and computer prices dropped. Kurzweil said we may not be able to predict which company will rise like Google or Facebook to dominate some new application, but we can predict that such an application will become feasible and then widespread due to the confluence of exponential trends. Watch for exponential trends in underlying technologies, in which performance steadily doubles every few years or so or prices continually drop every few years or so. Look for crossing points where the speed or cost of doing some task — that’s outrageously expensive or abysmally slow today — becomes affordable and timely. Think about new applications that might be possible if something is cheap, fast, and widely available. What happens when everyone is online via a mobile device 24×7? What happens when everyone knows their DNA sequence? Send an executive summary, not a business plan – VCs are short on time. Grab their attention quickly. They don’t want to wade through a 90-page business plan at the get-go. Know your business better than anyone. Don’t ask for an NDA – that’s a rookie mistake. VCs look at so many business plans a year that if they signed an NDA, they’d almost certainly get sued. Have a 3-sentence elevator pitch about your business ready if you meet the VC informally. Be smart, but don’t be arrogant. Saying your product “has no competitors” is not believable. Action: Do your homework before you approach the VC. VCs like Jason enjoy talking with entrepreneurs informally, such as at Boulder Open Coffees, but don’t have the fundraising conversation before you’re ready. When you are ready, be crisp and concise in your communication.